10th December, Dadam: The Youth in Dadam Parish had a three-day Animation programme from 6 to 8 December 2013 in their Parish Church, animated by Shalom Gospel Team from Digboi, Assam. Rev. Fr. Tomy, the Parish Priest and other Priests in the parish organized this event during the season of advent to help them prepare for the Christmas better. 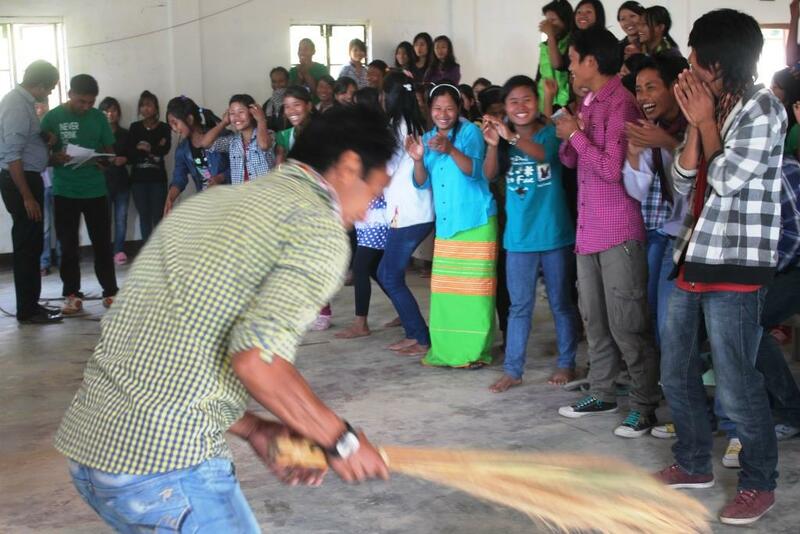 There were about 150 Youth from the four villages under Dadam Parish. The Animation team led the Youth with their melodious gospel singing through out. There were different competitions for all the youth and prize was given to each winner at the end of the Animation. Similar Animation programme was organized for the Youth of Kolam Parish on 21st December. In Kolam too there were 150 Youth from four villages under its care. All the youth participated very actively and with enthusiasm in all the all sessions and competitions conducted during the course of the animation.